Thank you to everyone who came out for the Mystery Run. We had 23 cars & 37 people who were up for the adventure we planned. We got a little late start leaving the Starbucks in Livermore before heading up Vasco Rd to Highway 4, then 99 on to our 2nd pickup point at the Starbucks in Galt. There we had a surprise celebration for Ms. Nikki Tildesley's 50th Birthday! 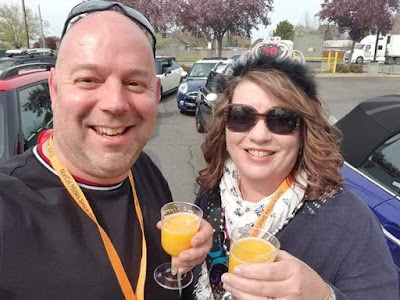 While I love a birthday celebration, the planner in me was a bit panicked on our timeframe as I had to improvise and change the plan slightly while we were in Galt. I apologize if this created any confusion or disappointment in the run itself, but the best was yet to come. From Galt we traveled down a bit of the historic Lincoln Highway. 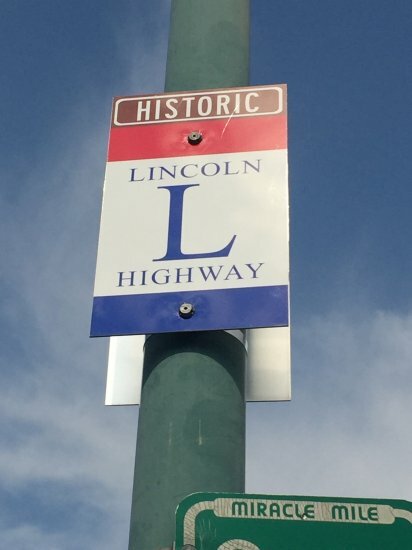 The Lincoln Highway was one of the earliest transcontinental highways for automobiles across the United States of America. Conceived in 1912 by Indiana entrepreneur Carl G. Fisher, and formally dedicated October 31, 1913, the Lincoln Highway ran coast-to-coast from Times Square in New York City west to Lincoln Park in San Francisco, originally through 13 states: New York, New Jersey, Pennsylvania, Ohio, Indiana, Illinois, Iowa, Nebraska, Colorado, Wyoming, Utah, Nevada, and California. Before the Carquinez Bridge was built, the Lincoln Highway went through Galt, Woodbridge, bypassing Lodi, and then into Stockton before heading towards San Francisco. 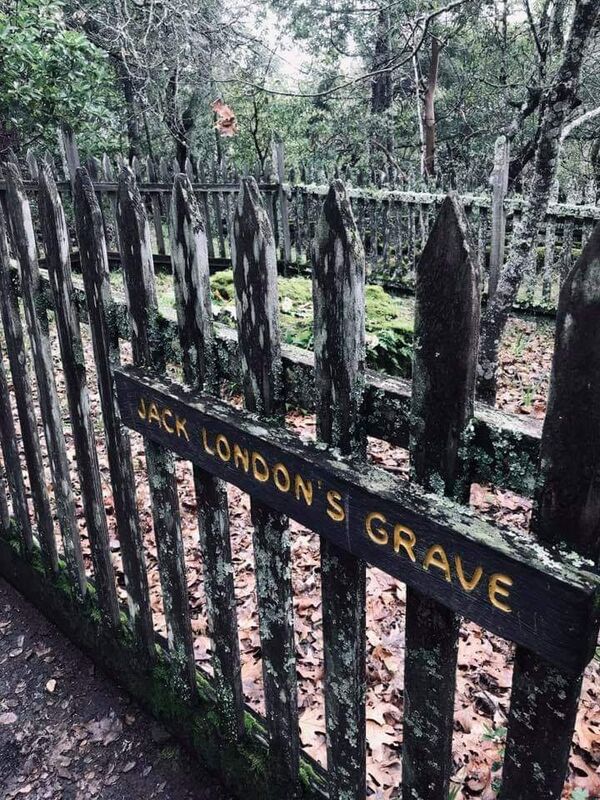 You can find historical marker signs along the route, even in Hayward. Once the bridge was built the Central Valley towns were bypassed as the route went from Sacramento over the bridge and into San Francisco. If you ever get a chance to travel The Lincoln Highway in other states, do it. There are some fabulous places along the way such as: Gettysburg, Shanksville, Pa location of Flight 93 Memorial, out through the west, towns like Laramie, & Rock Springs, Wyoming. If you were a part of MINI Takes the States 2016, we travelled a lot of the Lincoln Highway. Check out the Lincoln Highway Association’s online map for complete coverage of the Lincoln Highway and all of its alignments, markers, monuments, and points of interest. My plan was to then take the group into Lodi to view a couple of their great wall murals. If you know me as a member of NorCal MINIs, you know I love a wall mural. 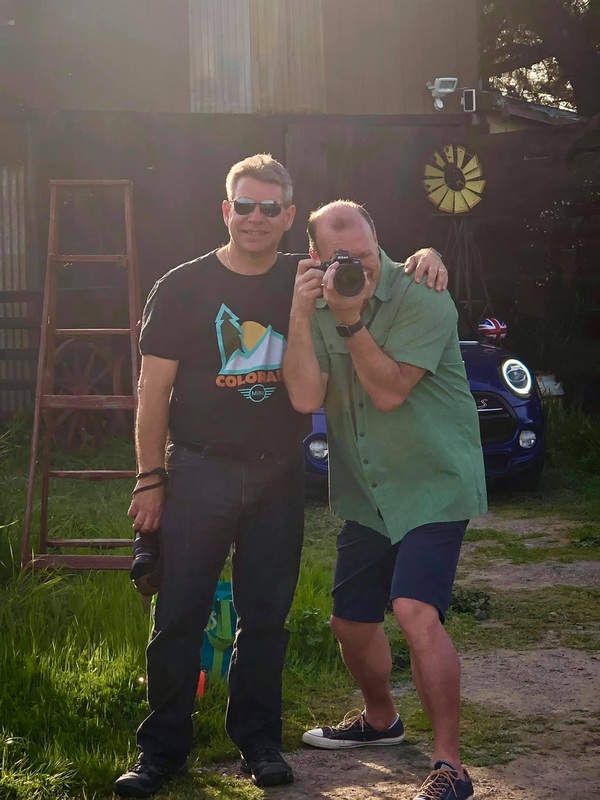 However, due to the time crunch I wasn't able to do this as the main purpose of the run was for everyone to participate in a MINI photo shoot I arranged for us at West 12 Ranch Studios. West 12 Ranch is a working thoroughbred boarding ranch and lucky for us, they had a day old foal in the barn. Between the horses and other animals, the ranch provided plenty of distraction while each MINI and its owners waited for their spot in front of the camera. A huge, thank you to Phil Rotheram and Steve Sandke, our photographers. Sunday May 5th is a very special run for our club. It is our annual Mt. Hamilton Run for Absent Friends to remember loved ones who have passed. This charity run benefits the American Cancer Society and the Valley Humane Society. Donation details below so open your hearts and pocketbooks in NorCal style. We don't have a reservation for the group, but there is a back patio area where we should be able to sit together as a group. There are other places in the area for those wanting a different option for lunch. 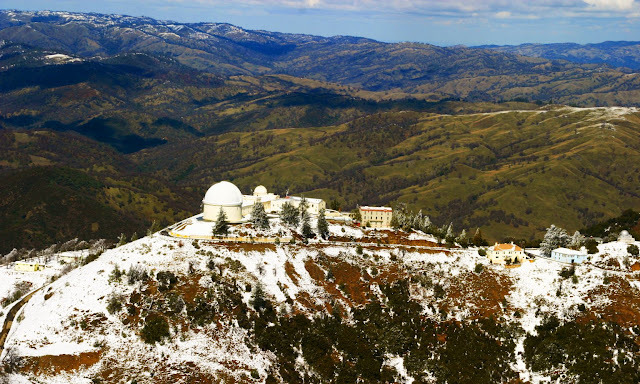 We will drive out Highway 25 towards The Pinnacles and then onto Highway 198 through Coalinga. We will continue on Highway 198 to Visalia where we will stop at The Habit Burger Grill 604 S. Mooney Blvd, 93277, for a quick lunch. We will hop back onto Highway 198 and drive towards Sequoia National Park through some simple highway into the mountains onto fun mountain roads. We will stop at Reimer's Candies/Gifts/Ice Cream, 42375 Sierra Drive, Three Rivers, CA. 93271, for a shopping and sweet/coffee break. Parking is limited there so we will need to park on the street. Have cash for ice cream!! 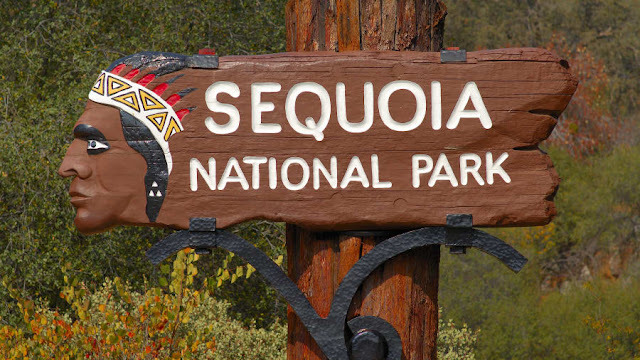 We will then head into Sequoia National Park from there - there is a $35 fee PER VEHICLE or don't forget your PARK PASS, to enter the park. Recommend you have cash. If needed inside the park we can stop at Hospital Rock for a bio break then we will climb to about 6,000-foot elevation to drive through the park's Tunnel Log. Photo opportunities available. The official run ends there. Sunday we will take an unofficial hike (really a mile trail walk) out to Thorpes/Tharps Log and drive to The Sherman Tree, the biggest tree in the park, before heading home. Well the day started a little strange!!! Sat at the meeting point, I was confused why there were only 3 cars there – and all were from my own family. I knew more people were coming!!! I had informed that departure was 8am sharp – but nobody else was to be seen. Oh no I thought – this isn’t going to be well supported. A short time later I got a call from Lucila to tell me that she along with 4 other MINI’s were waiting at a different Starbucks in Pleasanton. My family and I hastily jumped in our cars, headed over to the other side of town, and met up. We now had 8 cars heading out from Pleasanton – but we were 20 minutes behind schedule. It turns out that the event details had been sent out with the wrong meet up location. My bad – will be more diligent next time. Anyway, at 8.20am we were on our way. Our route was going to be the most direct as the distance was quite long and we had a time deadline to meet. The sun was shining for us – but sadly the roads will still wet from the rain the night before. So much for spending hours detailing the car. But hey – it was for a good cause and they could be cleaned again at the venue. After 1.5 hours of driving north we were heading towards Yuba City where another 4 cars were waiting to join the caravan. We pulled in (a little behind schedule) to have a short bathroom break and our newly formed caravan of 12 cars hit the road again. We continued north heading to the Butte County Golf Club picking up 1 last member about 20 minutes outside the venue. This was our lovely Joy Edwards who is our most northern member of NorCal MINIS living just south of the Oregon border. I called ahead to the event to inform them that we now had 13 cars on their way and would be arriving around 11am. We arrived at the golf course in glorious sunshine where many cars had already been parked up ready for the show and shine. Our group was directed to our relevant parking spots and we all jumped out and started to detail the cars. 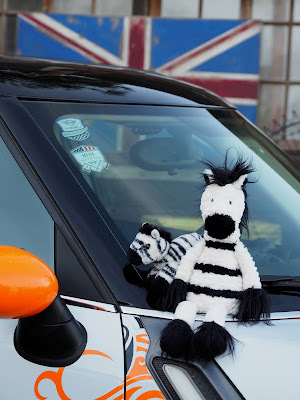 Once the preparation was finished we picked up our welcome packs and voting forms and started to wander around looking at other MINI’s and judging the cars by category. Once this was completed – it was time to get some lunch and join in the raffle / silent auction. Some of our members were lucky to win raffle prizes. Sadly, nobody from NorCal won anything in the Show and Shine. Shortly afterwards, people started to split off and head their way home having had a great time. The show was organized by Lew Allison from Chico MINI’s to raise funds for the children who were victims of the Camp and Car fires last fall. As we all know this devastating situation destroyed everything that people owned. I would like to thank Lew for pulling this together and allowing NorCal MINI’s to be part of the event. My thanks also go to the NorCal members who both turned up on the day and to those who could not make it to the event but made a cash donation. Our members raised $1,240 between entrance fees and donations. This was topped up with another $500 from club funds to bring our total contribution to $1,740. Well done!!! PS. Check out all the great photos from the event! It was a cold February morning when the first part of the group met. After getting the obligatory coffee 18 cars headed off as a group south on Highway 101 towards Salinas to meet up with the southern NorCal members. Once we arrived in Salinas, we were joined by 5 more cars making our total to head towards Pismo beach of 23 MINI’s. Driving south on 101 until Exit 252 we then took Jolon Road to head over towards the coast. Our route took us on some wonderful roads heading past Lake Nacemiento and some local wineries. The roads were relatively clear and gave the chance to open the cars up a little. The group stuck together and we headed west on Highway 46 towards Highway 1 stopping for a group photo on the way with the mountains and ocean as a backdrop. After the photo – it was time to head to Morro bay for our lunch driving south on Highway 1. Lunch was held at the Bayside Café where we were we joined up with the group who had travelled north from Southern California. Their 16 cars lead by Nancy Homer joined our 23 cars to make a total of 39 cars heading south on Highway 1 towards Pismo Beach. Once in Pismo Beach, some people decided to split off to their hotels, but a core group of us headed to Oceano State Vehicle Recreation Area so that our MINI’s can drive on the beach. This sure made a great sight to see and we had lots of people waving and taking photos. Sadly, one of our NorCal members got stuck in the soft sand – but in true NorCal fashion, we pulled together to help him out. After this, everyone went to their own hotels to rest up and prepare for the evening. Prior to dinner our friends for SCMM hosted drinks at their hotel which some NorCal members joined. Then, it was on to dinner, which we held at Rosa’s in Pismo Beach. 46 people sat down to a wonderful banquet dinner where many new friendships were made and stories exchanged. After dinner, a few people headed off to Harry’s bar for some drinks, pool and music. Sunday morning started with wonderful clear blue skies. Meeting at the Cliff’s Hotel and Spa – a smaller group headed down to the Monarch Butterfly Grove. Listening to the presentation about the grove and seeing the butterflies was a truly wonderful experience. Following the butterfly grove, this smaller group then headed back up Highway 1 & Highway 46 towards the Denner winery. We spent an enjoyable couple of hours here tasting the delicious wines and enjoying the warm southern California sunshine. After this, everyone headed their own way home having had a fabulous fun weekend. My thanks to Nancy Homer for helping make this joint event between NorCal and SCMM happen. We have both agreed that this is something we should do again in the future. And check out all the great pictures from the weekend. Don't forget to RSVP for the March Mystery Run. It is going to be a GOOD ONE! 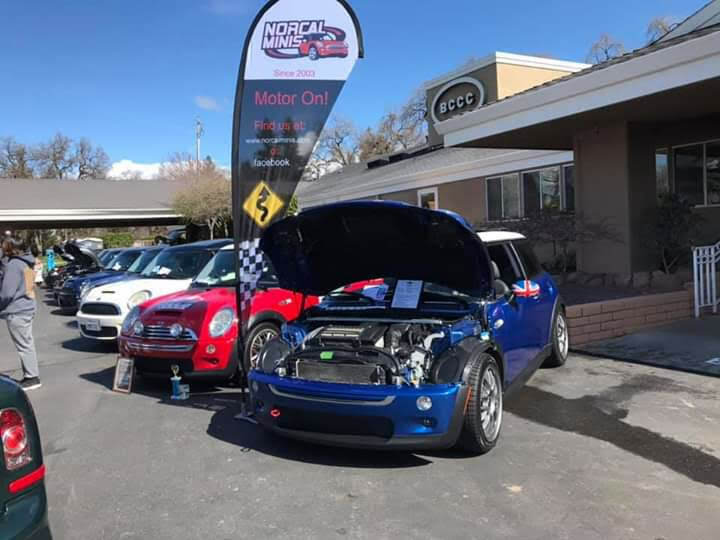 We have added a new Official NorCal MINIs event to our 2019 Run Calendar. 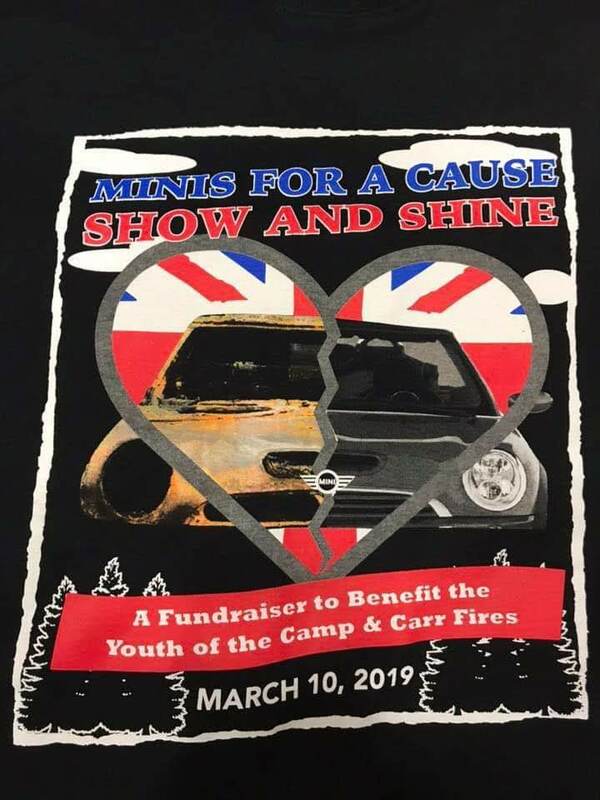 MINIs for A Cause Show & Shine Fundraiser will take place on Sunday, March 10, 2019 from 11am - 3pm at the Butte Creek Country Club. The purpose of the event is to help raise money for the victims of the Camp & Carr Fires, most specifically the youth of both of these fires. Meet Simon at the Starbucks for the ride up to Butte Creek Country Club. The ride will be straight up 680 to Sacramento, then up 99 to Butte County or you can just meet up with Simon at the event in Chico. MFAC has partnered with Golden Valley Community Foundation to collet and distribute the funds raised from this event. There will be a DJ announcing raffle winners throughout the day. Food and drinks available for purchase during the show. Select “Donate Now” button besides COMMUNITY FOUNDATION CAMP FIRE RELIEF EFFORTS on their home page. Then Under “GENERAL FUNDS” - SELECT “Mini's for a Cause”. This will then take you to PayPal to process your donation. To Register for event, pay your entry fee and purchase t-shirts, hats etc as explained above. Then with your confirmation number fill out the "ENTRY & LIABILITY FORMS" (link below) and include your confirmation number on the forms. Entry fee: $25 per car, $20 each if you enter 2 or more cars per family. All profits from donations, raffle ticket sales, entree fee’s, silent auction and t-shirt sales will go to the Golden Valley Bank Community Fund. Luis A Perocarpi, owner of LAP Motorsports has generously donated a ticket package for the upcoming race weekend at Sonoma Raceway (Sears Point). Please join NorCal MINIs and other area MINI clubs for the car show, raffles and silent auction. Watch the FACEBOOK Event page for more updates. Sunday, March 24th is our Mystery Run. We'll be driving North, South, East & West. Get your Sunday projects completed & prepare for Monday early, as we'll be leaving later in the day than our regular runs. Sleep in you non-early risers! For those in Sacramento area, you could join us at the restroom break location around 2:15pm. Once we have a quick 15 minutes break, we'll be back on the road. Have your lunch before you meet us in Livermore. Lunch is not part of the run. We should be done around 5:00/5:30. Have your radios and big smiles! You don't want to miss sunset. That's it - those are all the detail you will be given. If you are bringing a dog(s) or other animal with you, I MUST know ahead of time and they MUST be very well behaved. Please email me (Christine Toibin) at: catoibin@gmail.com if you are bring a dog or other animal. We will meet at the usual Starbucks we have been using for south runs. Departure will be 9am SHARP!!! Driving south on Highway 101 for a period before heading off to take the back roads via Lake Nacimiento, Adelaida and Harmony before heading to Morro Bay for lunch. Plenty of parking at the restaurant. No reservations will be made or you can do your own thing. Once in Pismo Beach - We will head to Ocean Beach. Photo opportunities perhaps and enjoy the view. After this - you are free to do as your please for the evening - though I will try to find a good place where a bigger group can eat if they fancy it. I am speaking with SoCal MINI's about this run and am trying to get them to meet us in Morro Bay and then enjoy the drive to Pismo Beach. After a lazy breakfast (at your own choice of location), we will all meet back up at the Cliffs Hotel and Spa at 10:30 (address above). Then head to the Monarch Butterfly Grove to see the breeding ground of these gracious butterflies. And then for those interested it is Simon and Nikki's intention to head back north via Paso Robles stopping at a couple of wineries that we chose as a group.